Helping the Sport & our athletes Grow!! Australian All Star Cheerleading Federation (AASCF), was founded in 2005, and has since grown to be the largest all star cheer & dance event producer in Australia with over 3,000 registered coaches and over 52,500 competitors at our 21 Championships during 2017. AASCF is an organisation for All Star cheerleading & dance Program owners, coaches & athletes around the country dedicated to the promotion and advancement of All Star Cheerleading & Dance as a respected athletic discipline and sport, safe and open to all. All Star Cheer & Dance is a sport for ALL that allows everyone to be the very best of who they are without having to change; tall, short, strong, petite, you are all equal and perfect and our sport will allow you to enjoy the athlete who you were born to be. AASCF provides coach education & accreditation, conferences, camps/clinics, judges training and Australia's largest National competition series & produces safe, fair and fun competitions and is proudly Australian based & owned. 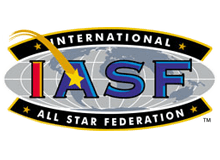 We are affiliated & an Australian representative of the International All Star Federation (IASF) and the United States All Star Federation (USASF), the international authority in standardised safety, divisional structures, and coach/athlete education of All Star Cheerleading. 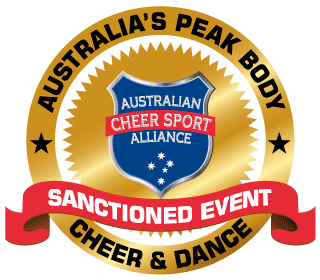 AASCF has formally adopted the ACSA Cheer & Dance Event Sanctioning Standards for all our competitions. When programs attend ACSA Sanctioned Events, they can be assured that their athletes, coaches and parents are attending events that comply with the sport’s best safety practices. To ensure the continued safety and legitimacy of our sport, please check to make sure your athletes are only attending ACSA Sanctioned Events. AASCF has been a proud SILVER sponsor of the UNICEF CHAMPION FOR CHILDREN fund for since 2011 and are proud to continue with assisting UNICEF in their mission in 2019 making contributions in excess of $25,000.00. Our AASCF Family should take pride that through their involvement with All Star Cheer & Dance they are contributing to assisting the more needy children around the World .